Law Students! Make Amazon Best Seller, “Plaintiff 101,” Your Summer Read! Interested in law and what goes on in the courtroom during a personal injury litigation?! “Plaintiff 101” by Karen Mertes tells the story as her life hung in the balance after a tragic car accident caused by a drunk driver. Despite sustaining a traumatic brain injury, she is the founder and president of Fulfill Your Destiny, Inc., a 501(c)(3) non-profit dedicated to helping people whose careers have been altered by injury or other unforeseen circumstances. This book is to help other personal injury survivors contemplating litigation, or already involved in litigation. You should be able to navigate these troubled waters ever so slightly easier because of our experience and advice. We’re hopeful that plaintiffs’ attorneys will see the benefit of providing this book as a teaching tool to their clients so as a team you can win your case! Grab this Amazon Best Seller to add to your summer read collection! When you call a cab, or request an Uber, you are expecting a designated sober driver to pick you up and safely transport you to your destination. However, what happens if your driver arrives and suddenly you feel unsafe? You notice that they are swerving, seem to be nodding off or even get into a car accident due to intoxication? Make sure to be aware and on alert for any suspicious behavior. As the driver to pullover and drop you off in the nearest safe location. Text a friend to call the police or call them yourself if you feel unsafe. Although it should be a guarantee that your driver should arrive sober and fulfill their duties, you can never be too careful. The Amazon Best Seller, “Plaintiff 101,” can be Checked Out Through the Tampa Public Library System! Looking for a resource to help guide you through your personal injury litigation but short on cash? No problem! Karen Mertes’ “Plaintiff 101” is now available in the Tampa Public Library System! Do not keep any secrets from your lawyer. If something in your past may hurt your case, tell your lawyer first. In all probability, it’s not as bad as you think. Remember the lessons of history. It wasn’t the break-in that led to Richard Nixon’s downfall. It was the cover-up. A lawsuit is a team effort between you and your law firm. To achieve a successful result, you must meet your responsibilities with your best efforts. Be open, honest and flexible throughout your case. The proceeds from the sale of this book are directly donated to Fulfill Your Destiny. We hope you find the information contained within these pages of our book very insightful. Please know that your donation for this book is used to help others through Fulfill Your Destiny. To create the H.E.R.O. – ‘Hands Eagerly Reach Out’ movement. When we dare to care, our hands eagerly reach out to help others in need. Imagine how strong every community could become if hands eagerly reach out to help others when and where needed. Fulfill Your Destiny’s signature program awards ‘Business Builder Grants’ to proven entrepreneurs who have experienced life changing events to take their business to the next level. 1) Keep People Working: To provide financial support to individuals whose careers have been altered due to permanent injuries or unforeseen circumstances, including, but not limited to traumatic brain injuries for the purpose of obtaining vocational counseling, educational or occupational retraining. 2) Inspire and Motivate: To educate others about those personal challenges facing any of us suffering injuries that permanently changes our lives. How we confront our challenges is the key to the core motto of Fulfill Your Destiny: Character Drives Destiny. We teach people that we are all defined by our character, which compels us to pick up the pieces and carry on when confronted with tremendous obstacles. 3) Build Awareness and Educate: To offer assistance – educational, financial, volunteer time and/or in-kind services directly to individuals and other non-profit corporations, to increase awareness of traumatic brain injuries and to support those who have experienced TBIs. Not many people think about what could happen when they drive drunk. You could not only ruin your live, but the lives of those in your vehicle and ones that you could possible have a collision with. According to the CDC, about 1 in 3 traffic deaths in the United States involve drunk drivers. From 2003-2012, 8,476 drunk driving deaths occurred in the state of Florida. Although sobering statistics have the power to encourage better choices in drivers, sometimes putting a face to the figures is much more effective, and real. Take the story of Jacqueline Saburido for example, who was burned alive by a drunk driver. Jacqueline is one of the most popular faces for drunk driving. 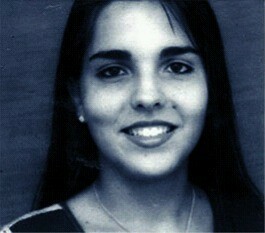 On September 19th, 1999, 20-year-old Jacqueline was involved in a fatal car crash along with four other friends. The group of friends were leaving a birthday party when their car was hit head-on by an 18-year-old drunk driver, who was traveling home after partying with friends. The car in which Jacqueline rode in caught fire, causing her to suffer third degrees burns over 60% of her body. The burns were so severe that she experienced the loss of her skin, hair, nose, ears, and much of her vision. Altogether, she had endured over 120 operations. Two of her friends were killed in the crash. Since being severely burned and disfigured in the crash, Jacqueline has bravely shared her story across America. In 2003, she made her first television appearance on The Oprah Winfrey Show, giving new meaning to what it means to be beautiful from the inside out. She was later revealed as one of Oprah’s all-time favorite guests, of the 30,000 individuals she’s interviewed throughout the years. Her story continues to inspire many. Jacqueline is not only the face of drunk drinking, but the face of survival. “Plaintiff 101” is a survival story, and hopes to inspire victims of drunk driving and assist them through litigation. Check Out “Plaintiff 101” at Your Local Library! This Read Poster was created by the Town ‘N’ Country Library for their Read Local event.